Federal lawmakers soon may have financial justification for funding cost-sharing reduction payments for insurers as well as reinsurance, when a new government report shows CSRs will save the government $32 billion if they're funded for the next three years. The Congressional Budget Office is expected to release a report with the reworked baseline within the next few weeks, setting the stage for lawmakers to include the payments in a spending omnibus bill due later this month. The magnitude of the projected savings is especially good news for insurers because it could help counter resistance to a federal reinsurance pool on the grounds that it would cost too much. 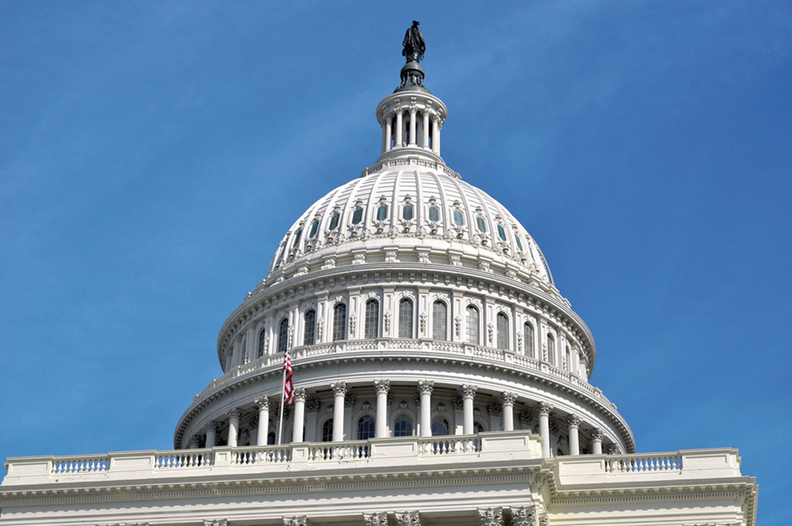 Insurers have been lobbying Congress to pass a reinsurance measure over the past few months. Justine Handelman, senior vice president of policy at the Blue Cross and Blue Shield Association, has called reinsurance the "most important" policy Congress could pass to lower premiums because of the funding backstop and certainty for high-cost coverage of sick enrollees. The change in CBO's budget baseline reflects the Trump administration's decision to stop making CSR payments. President Donald Trump halted these payments starting last October, and so far Congress hasn't authorized them. As a result, government spending on premium tax credits that are based on the costs of premiums have gone up, since insurers have baked the CSR costs into the plans. If CBO removes CSRs from the baseline to reflect actual government spending, adding them back in would show these greater savings. The White House included a recommendation to fund CSRs in its budget. Several Capitol Hill aides apprised of the savings projected by the new baseline confirmed the CBO number. As of press time, the CBO did not respond to Modern Healthcare's request for confirmation. These findings come as Republicans try to come to terms with ballot-box-friendly healthcare provisions, even if it means stabilizing the Affordable Care Act, which last year the GOP-led Congress tried and failed to repeal. The latest example comes from Wisconsin, where GOP Gov. Scott Walker has approved a waiver application to set up a reinsurance pool for his state. Ultimately, the decision to include a stabilization measure in the next big spending vehicle falls to leaders negotiating the final provisions of the upcoming spending omnibus. Congress needs to pass the omnibus by March 23, when the continuing budget resolution that is currently funding the government is due to run out. While Sens. Lamar Alexander (R-Tenn.) and Patty Murray (D-Wash.) continue to work on a stabilization measure, House GOP leaders have embraced the measure introduced by Rep. Ryan Costello (R-Pa.) that would set up a $30 billion reinsurance fund that allocates $10 billion annually for three years in a federal backstop for high-cost claims. The HHS secretary would have full discretion over how to spend the money. Insurance lobbyists like this House provision because it doesn't involve states needing to apply for 1332 waivers as they would in the Senate reinsurance proposal authored by Sen. Susan Collins (R-Maine). Collins has told Modern Healthcare she is in talks with House Energy & Commerce Committee leadership as well as Costello on the best way forward for reinsurance. She likes the higher funding levels in the House proposal — her bill would let states draw down from a $2.25 billion pool that would be available annually for two years — but would prefer to leverage the 1332 waivers to patch together more money with pass-through payments and magnify the impact of the available federal dollars. But Costello noted practical implications of states needing to gain the approval of their legislatures for a 1332 waiver before then applying to the CMS could delay the goal of lower premiums past 2019. Whichever measure is decided on would require 60 votes in the Senate, majority approval in the House and the support of the White House. But first, the select committee of appropriators needs to agree to include it in the omnibus. Other major healthcare provisions up for negotiation during this process include the $6 billion designated for the opioid epidemic.